I have attached some photos for your wonderful archive. 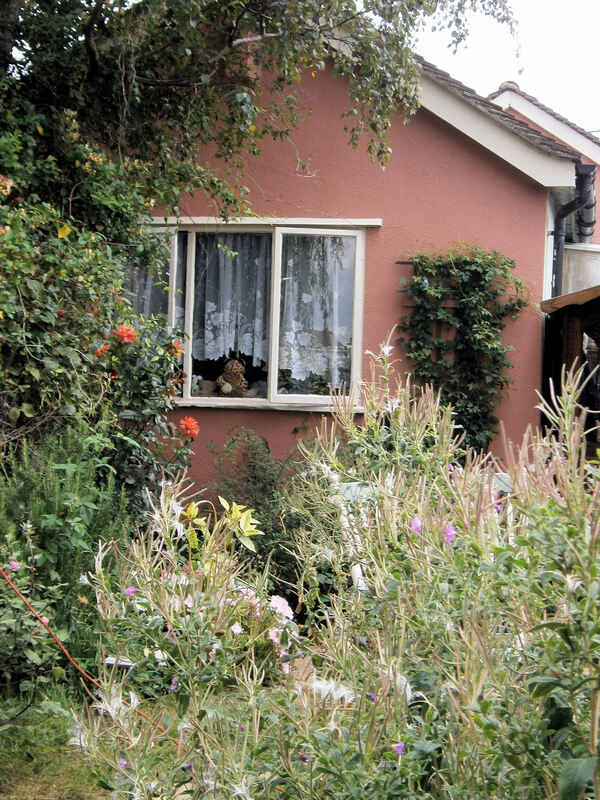 It is so imperative that we save the history of Benfleet and Thundersley for posterity. It is getting built up beyond recognition. 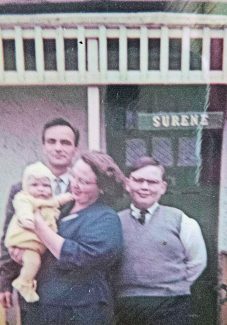 I came to Benfleet in November 1963, aged 10, with my parents, Kathleen Jeanetta and Richard James Charles Bird, together with my mother’s brother Edward Martin Sheppard. They took on a run-down newsagents shop at 123 High Road and turned it around into a profitable concern in a few years. 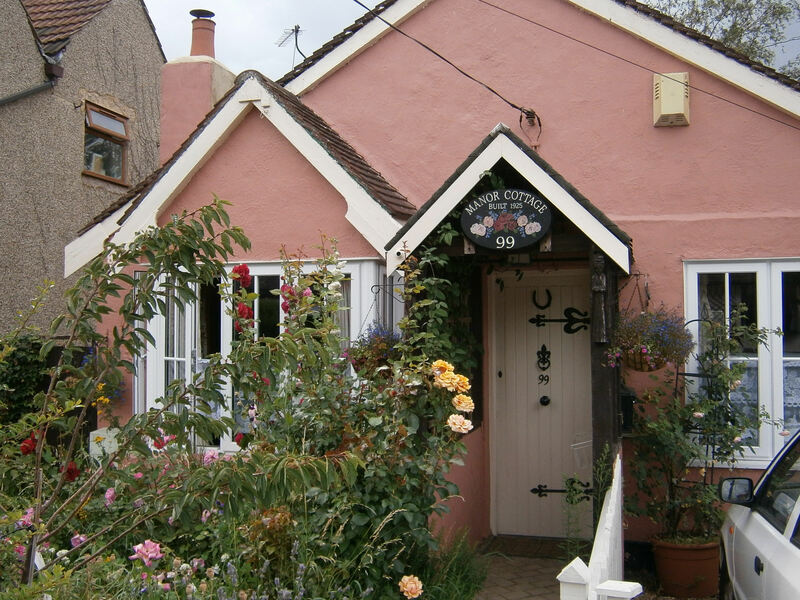 The shop at no 123 started life as a Victorian villa called Sweetbriar. We lived in the flat above the shop in rather cramped accommodation. My uncle Ted slept in the stock room on a put-up bed. I remember having a lovely Art Nouveau fireplace in my bedroom. From my bedroom window I could see across the marshes to Benfleet Creek, and watch the trains snaking across the marshes towards Pitsea. I remember that Dad, with his DIY skills, made the flat into a very comfortable home. 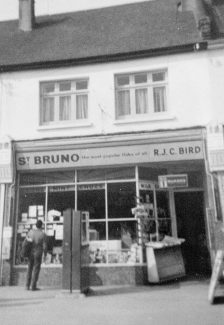 My parents & uncle had the shop until 1977 or 1978 when my uncle’s poor health necessitated a move to a less demanding business. Nowadays the shop is a photographic studio. I attach a couple of pics of the shop. I met my husband Allan in 1973, and we married in 1974. 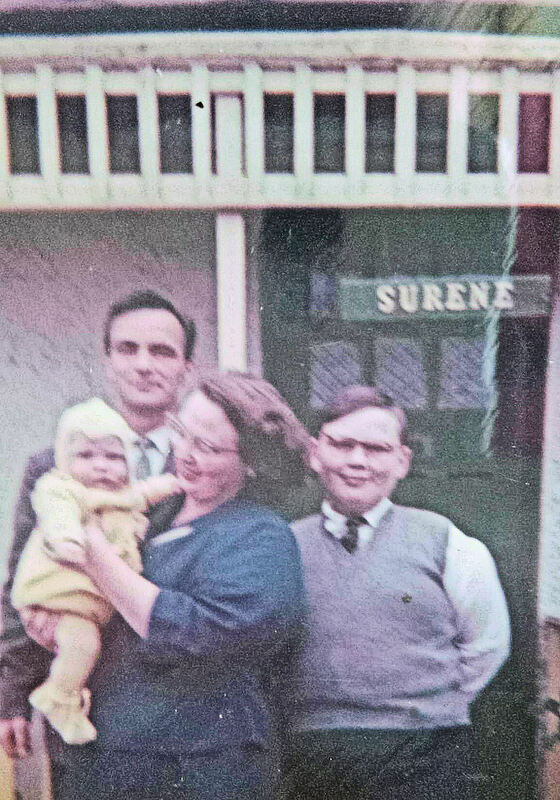 His family came down in the 1920s as Plotlanders, to ‘Surene’ in Malwood Road. 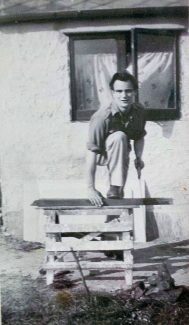 The bungalow belonged to Allan’s grandmother Susan Sumner, and was used as a holiday retreat from London from the 1920s until the early 1960s. Allan’s father George (90 years old in October 2016!) 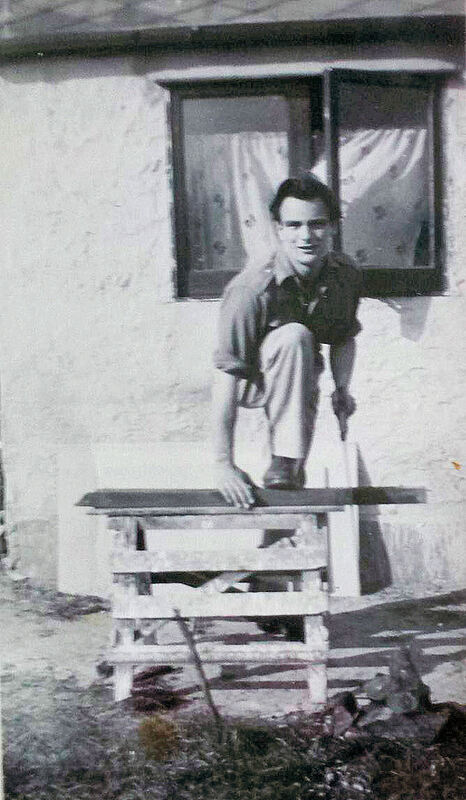 remembers the farm at Tarpots, and picking up milk there on the way to Surene in the 1930s. In 1964, Allan’s family moved to Benfleet permanently, as Malwood Road was being developed, and sold their plots, having a house built for themselves on one of them. In true plotlander fashion, Allan and I bought the last remaining plotland cottage in Manor Road in November 1974, which was derelict. It had been owned by the Fry family of New Thundersley, who also owned 112 Church Road – a clapboard cottage in an enormous plot which was sadly demolished early 1990s before I had the chance to get a photo. We dragged it back from the brink – new floors, new ceilings, damp proof course, hot water system. We are still here today. 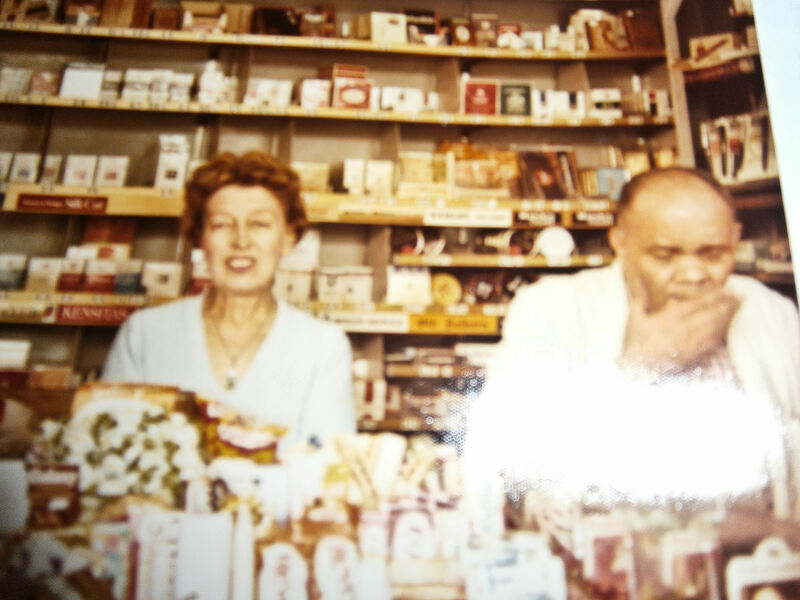 During the late 50’s early 60’s the Newsagents was owned by a family called Wyatt – if my memory serves me correctly. Their son went to Fryerns Grammar Technical School with me. Although in different classes we were both in the same year starting in Sept 1958. Thanks for your comment Steven. The cigarette machine was the bane of my father’s life. Always getting jammed up with football tokens and foreign coins! I still have quite a collection. Did you used to live in Hope Road, by any chance? 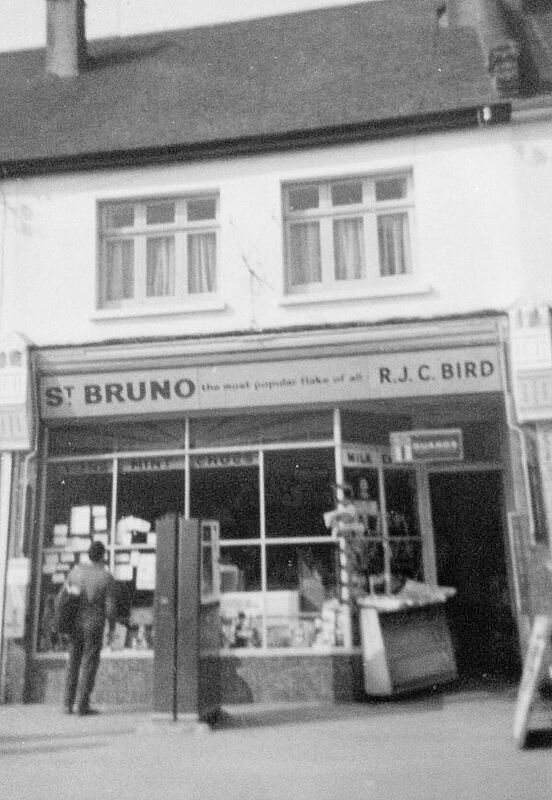 I well remember Bird’s and Mr Bird in particular. The picture also brought back memories of the machines outside the shop. I believe that one side sold cigarettes and the other Payne’s chocolate raisins, peanuts etc.